I’d like to propose another factor that may be hindering male IQ in Norway: all encompassing state socialism. Brain is just another muscle, don’t use it and you lose it. Also, IQ tests typically emphasize logic. This is a subject avoided like the plague in state-funded schools. JimBob who thinks it oughta be called a logic test since no one can even tell him what intelligence is anyways. mkey says: Brain is just another muscle, don’t use it and you lose it. I once got together with a friend, a chiropractor. We set aside about 15-20 hours a week. One week, he would ask me questions about simple, pleasant, past experiences I could remember. The next week, I would do the same to him. Our ability to remember things in the past did improve. Coincidently, prior to our starting this regimen, I went to the eye doctor to get a prescription for contacts. By the time my contacts arrived, my eyes had improved. I attribute the improvement to the mental exercises. Why is the question here presented in relation to standardized tests which are (of course) always being tweaked by officials. Really? The same government material we can’t trust as far as we can throw is the BASELINE for the story? How about we decide for ourselves? We have eyes, ears, and minds don’t we? James C. tells us (correctly) that we’re propagandized with mind numbing nonsense from birth to death doesn’t he? Forget testing, let’s just rely on our own observations and pose the raw question. Q; Are we being dumb-ed down via “education”, propaganda, abbreviated vocabulary, icons, drug use, wireless frequencies, fluoride, and other various chemicals absorbed through every orifice as the Corbett report astutely points out ALL THE TIME???!!! A HUGE, MASSIVE, GIGANTIC, RESOUNDING YES! YES! YES! So how are we suddenly back to the issue, but now in the form of a question with government reporting as the baseline?!!! Mr. Corbett says acknowledging the obvious will somehow lead to friction (boomers .vs millennials), i.e. who’s smarter. Not if we all admit we’re being played like a whorehouse piano it wont. The authoritarian preference for intelligence is unsurprising because intelligence as measured by an IQ-test reflects one’s ability to produce expected and desired answers in response to problems formulated by others. IQ measures therefore intellectual compliance and conformity, which are typical authoritarian values. So it is to be expected that authoritarians judge a high IQ — as intellectual compliance — as highly desirable. However in complex times of change and uncertainty authoritarians judge behavioral compliance — obedience, even if it defies logic — as even more desirable. Now your telling me I’m intellectually compliant? No! It burns me…. JimBob who ain’t very happy about being intellectually compliant as he was really going for defiant. But, that’s the way life goes sometimes. I can’t help but notice I’ve got no karma as well. Do I have to be at the bottom of the entire genome pool? JimBob who would like to have at least one redeeming aspect of hisself, but he ain’t never found one yet. Now you have two, JimBob. If that makes you think you got out of the gutter, better think again. Wow. I’m so excited now! What is this user karma though. JimBob who probably oughta know this, but he never really pays attention to such stuff anyway. “Karma” is the total tally of all the upvotes your posts received, minus all the downvotes. The count updates on page reload. So basically, my karma is probably going to stay low. JimBob who is pretty sure there are people just waiting in the shadows to pounce on that down arrow. But they just don’t know I’ll be watching. Personally, I hate the “voting” system for karma. Geez!…It doesn’t appeal to me. I have seen “upvotes” and “downvotes” on other boards. Sometimes there is a “Vote Club” which influences things. Reminds me of High School elections or something like American “democracy”. Okay HRS, now I’m going to upvote all your comments. The vote war has begun! JimBob who doesn’t see any honor in this war either. But it sounds like fun. can we get a negative karma score ? If so, is it still karma or something other ? Hey, You Shot Santa! How many “karma points” do you see that you have? No but seriously, how many “(User Karma: points) show up in your parentheses? Hey there MBP! Took a week off and come back and my karma goes up? I’m pretty sure I never said enough comments with sufficient substance to justify it though. 89? I need an A for the Corbett comment class or my GPA will be ruined! Ruined I say! JimBob who is now worried about being perceived as a respectable person now. It’s enough to make one sick, I tell ya! Awww c’mon You Shot Santa! Cheer up! I Promise I will Never see you as respectable. For that matter, your 89 points have absolutely nothing to do with me – I never voted anyone up or down. Except Octium once ’cause I said I would. And Pearl once “cause she’s a Pearl. But that’s it. Even if I love reading and find considerable merit in most of the comments comprising the Corbett comments board. And I bet a lot of other folks here aren’t voting either. Sort of an anti-establishment reflex we have I guess. But I was thinking maybe we were all seeing something different but no. 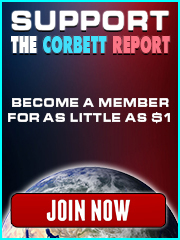 Indeed, you have 89 and as VOA mentioned Mr Corbett has 30 so you have three times as many as the site owner himself which is pretty humorous. The point would seem to be, not to take it seriously. Did you have a nice week off? MBP, thanks for your lack of respect. It was worrying me. I tell you though that I am so very shocked that there may be disruptive, anti-status quo members here. As you know, I’m all about that! Can’t say as I really enjoyed the week off since it was a result of getting over some health issues. Not serious, and it was good, just that I’ve ridden that bull pretty hard and there is a cost to that. But, at least now I’ve finally got it straightened out. But I do think it’s funny that I’ve tripled James karma, with only a hundredth of the effort (and I’m being generous to myself). I just feel so special now. JimBob who thinks it’s odd that this is the only place where his karma really rocks it out. If it’s any consolation, JimBob, I always “like” your comments and get a good chuckle, I’m just not pushing that stupid arrow to prove it. Well then, I will gladly delude myself into having ten thousand likes added for all of those out there who are merely boycotting arrows. It’s so easy to make my delusions seem reasonable as I’ve been doing it so long. JimBob who believes he does have delusional behavior down to an art. Gosh, put that way, I almost wonder if I’m being ridiculously trivial. Almost. But I’ve moderated wordpress blogs before. I know “like” buttons, and what we’re dealing with here is no “like” button. I don’t mean to be a pill, but this karma rating isn’t cool, it isn’t functional, nor is it anywhere accurate. I believe James was put between a rock and a hard place: censorship or consequence. I’m all for consequences, but let it happen naturally, by and through the people, not an artificial medium that degrades the quality worse than any troll ever could. 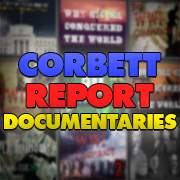 The quality of conversations, past and present, is warped, and for many here, certainly for me, community is half the appeal of The Corbett Report. I was just kidding on the boycotting remark. I’m no expert in what these like buttons mean; I just find them convenient for me to let someone know that someone out there liked what they had to say. I know, it sounds as if I’m only thinking about me; but that’s just because I’m so selfish. JimBob who seems to have fewer trollish emails in his inbox. So far anyway. We’re witnessing silly human endeavor to hand down karma which can only reap it’s lowermost end. All aboard the dopamine train! The hypocrisy Corbett exhibits here is staggering. snd it will serve to not trigger the post filter which, among other things, catches stuff it sees as links. Oh good! But one time out of several, I did just as you say but when the comment published, the “https” showed up anyway. I wasn’t stuck in moderation though. I guess that happens with multiple links? I’m not sure what happened on that one occasion, but as long as you remove https(s) bit and www you should be golden. Typically posts containing multiple links are sent to the queue but also other posts can be sent, even without any links probably depending on some keywords and only during James’ off hours, probably. Spam filter probably has a zillion options. I guess the filter looks for some specific URLs, then. Evening all. (well for me at least). I was just searching for the interntional law term for protected / assured evidence in transit and it popped up. “Nations should employ military force to achieve their political objectives in consistency with the norms of the international community to a lower cost by comparison to the other elements of national power. The skillful combination of diplomacy, information and economics shape the environment to enable a legitimate use of force. The success of the use of military force depends on the alignment of ends, ways and means and the adjustment to the risk level. Operation Serval and the United Nations Multidimensional Integrated Stabilization Mission in Mali (MINUSMA) are two contemporaneous examples of a successful and an ineffective use of force. This actually makes sense. War, which is inevitable, is costly. The better able you are to control all your resources at your disposal; the better able you are to achieve your objectives. While it does seem hawkish, one would expect that from a military mindset. War is really a department within the foreign affairs office. It’s more of a hard negotiation tactic they employ. JimBob who don’t think their’s ever been much honor in the wars we’ve had; but that don’t mean a war can’t be honorable. war against an invader is honorable. my point was about the overt exposure of this War Academy’s explanation that manipulating information (propaganda) to shape the environment (manufacture concent) to enable a legitimate use of force (commit whatever war crimes we want in the interests of the corporations who own our country). I know. That was the hawkish viewpoint I referred to in my comment. Even when wars are deemed necessary, it is still necessary to drum up support for the war. While this statement can easily, and obviously, be abused, (and I would be surprised if it weren’t) it is still going to be a necessary factor to consider. Man has been waging war for as long as we have been on this planet. We are the Apex predator on the planet. Hardly surprising that we would have bureaucracies laying out how to do it step-by-step for all to read. Where you should take comfort is that even though they have all their fancy plans all laid out nice and neat; it doesn’t ever work out that way. They don’t know their own troops; which means they don’t know themselves. They study how to counter enemy moves; but not their own. These mindsets are not nearly so ominous as their words claim. JimBob who has studied those tactics and strategies and does have a few suggestions but he ain’t giving them out to no army folks whatsoever. There’s no such thing as legitimate use of force, and our “Department of Defence” is a damn joke. Welcome to Orwell’s double-speak, opposite world. Oh. MINUSMA. MINUS MA LI. Reminds me of the MINUSTAH. “…On July 6, 2005 the residents of Cite Soleil were the objects of a full military assault by UN forces. It resulted in over 22,000 rounds being fired in a raid on the pro-Aristide slum ordered by Brazilian General Heleno Ribera. By the time the gun smoke cleared it revealed a nightmare of blood and screams as people bled to death in close-knit tin roof houses, small alleys and narrow roadways in Cite Soleil. I’m really not looking forward to watching that after I finish downloading it. But I think it’s important to help remind ourselves of just how capable of evil all of us are. JimBob who still gets along with his evil doppelganger and they just go out for drinks every now and then. Only a very sick context could make all of us capable of such evil. Pilato and I agree about those dang dryer sheets. Some evenings or mornings, the neighborhood reeks when you walk outside for fresh air. These synthetic chemical fragrances can really get me ranting. One time, I called Kroger and wrote letters to corporate because they had scented plastic grocery bags. I chided them every which way but nice, about the toxicity…and how organic produce would end up smelling like Febreze when you got home. The scented grocery bags stopped. Two months ago, I raised a big, loud stink at work because the boss bought scented trash bags. My point even came up at the “Meeting for Bosses”. It ain’t gonna happen no more. These artificial chemical fragrances are insidious in their toxicity. I got the bathroom scents removed from our bathrooms at work. I started by asking at our monthly meeting of all staff; how many are bothered by them?. 34 raised hands. I was first one to publicly voice concerns, tho. If you think about it, what you did was a revolutionary act. You showed, by example, how speaking up can create change. Most people are too timid. They have been trained to not believe in themselves their entire lives. And not just by the state, they only codified it. If we simply did something every day (it doesn’t have to be something as note-worthy as what you just did, we’re talking about forming habits here) that helped you to cultivate that power within yourself, you could perform miracles. And it would spread. JimBob who ain’t ever figured out why people never believe in the one person that can really help them out. Themselves. By the way, while I’m not advocating violence; I do like it that those worms which infest the congressional walls are afraid. They should be. They are the ones who sold their souls for some campaign dollars. Or for something far worse. They haven’t cared about the consequences of their actions upon us before; I’m thinking they should start thinking about them now. A fearful congress facing an questioning people sort of makes me think things are rolling all along my way. JimBob who might even sell some tar and feathers if the shows get good enough. I am the only one that was disappointed when i heard (whether true or not) that the plane headed for congress on 11 Sept, didnt make it? Perhaps the increased threats to congress is a positive sign. Not the violence, but the possibility that more people are realising that voting makes no difference. Perhaps not, perhaps they are violent anyway, but for each of these people hopefully there are thousands more out there that have come to the same conclusion that voting makes no difference, currently doing nothing about it and would be open to some real solutions? We also know that THEY don’t need real threats, they will just make up threats anyhow, so real threats are not going to make much difference. On an unrelated topic, are the new Karma points redeemable for KFC in China? Actually, redeemable for bitcoin, 1:1 ratio. Agenda 21 and its ofspring is brought in THROUGH LOCAL POWER STRUCTURES. Your vote may mean little in the scum pond of DC but you actually can have a big effect in local elections if you get people talking about the issues. Sustainable development is only a thing because people are lazy and ignorant- if as many people were against it as are pro 2nd amendment it simply would have no traction in the US. Interesting that the so often touted-as-advanced Norwegians only tested males. Suppose females don’t matter.